Now that Mother’s Day is over, it’s time to give Dad’s day the attention it deserves. Last year, we shared a Father’s Day menu that we catered for the holiday. This year, we’re serving up another special menu we created just for Father’s Day, along with a shrimp pico de gallo recipe that Dad is sure to love — and you can make anytime! angostura bitters, sparkling water, orange garnish. served with homemade lime yellow corn tortilla chips. and red cabbage on a miniature pretzel round. and baked until golden brown. Topped with mini marshmallows, pecans and chocolate drizzle. Our Bourbon Maple Smash drink is perfect for the Dad that enjoys the finer things in life, but appreciates a new take on an old classic. 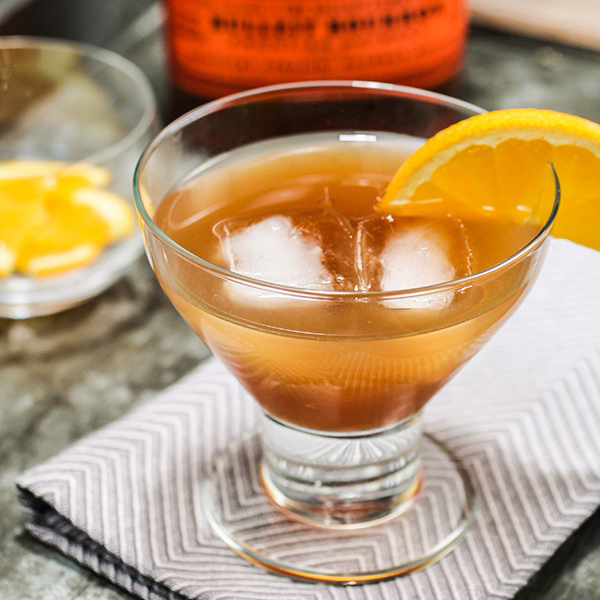 We’re willing to bet that even the most Bourbon-averse person at the party won’t be able to resist a sip. 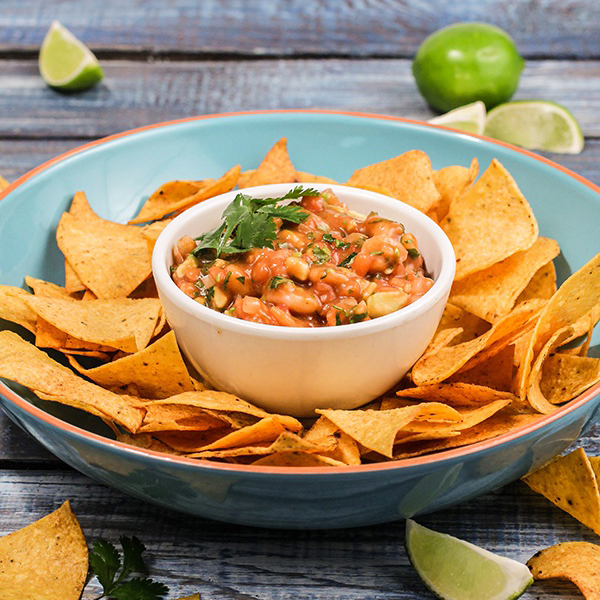 Let us handle the appetizers on Father’s Day, or follow our recipe at the end of this post for this delectable southwestern shrimp pico de gallo. 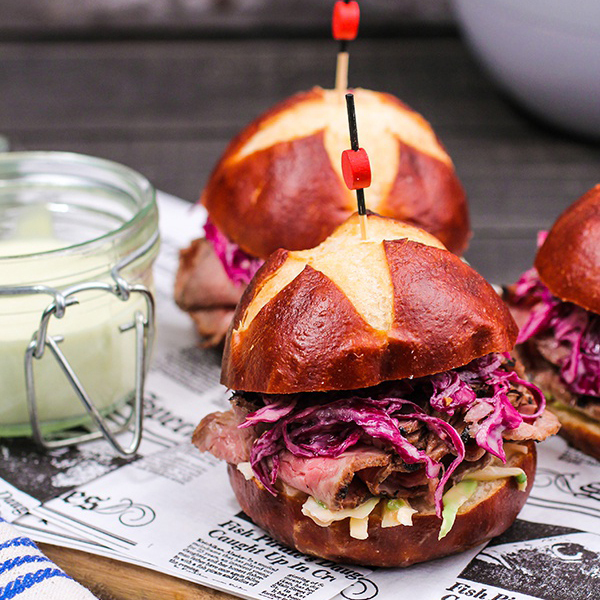 Our miniature sirloin and slaw sandwiches will have your guests asking, “Are these for real?” Luckily for you (and them! ), they are. Just like Mom appreciates the treat of breakfast in bed on her special day, Dad appreciates having all of his comfort food favorites on the menu for his. 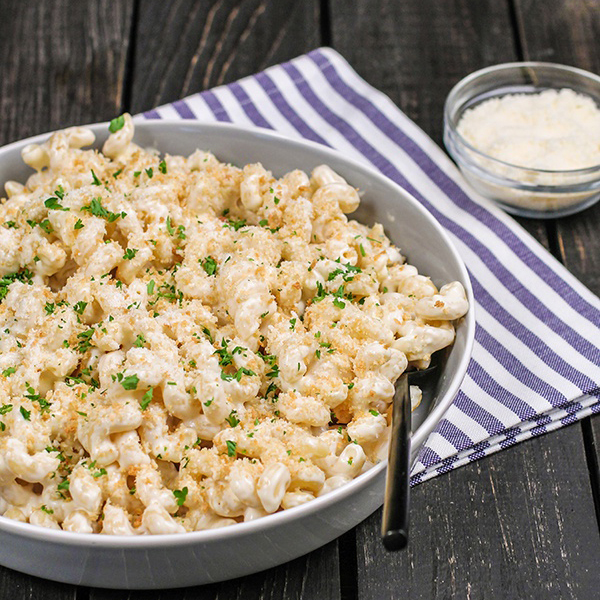 Gouda ups the ante to make this dish just as gourmet as it is delicious. The meal isn’t over without a fabulous dessert! 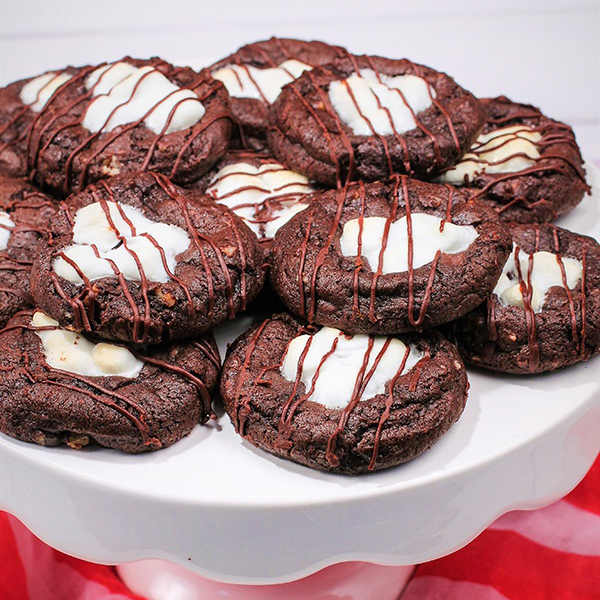 These rocky road cookies are even better than their traditional ice cream counterpart. In a mixing bowl, combine the tomatoes, onions, cilantro and shrimp. In a separate bowl whisk together the ketchup, cocktail sauce, tabasco sauce and lime juice. Mix this into the shrimp and tomato mixture, then carefully fold in the avocadoes and season with salt and pepper. Chill in the refrigerator until ready to serve with your favorite tortilla chips. Ready to rock Dad’s world with a Father’s Day Menu that he’ll be telling everyone about? Give us a call to speak with one of our Event Coordinators!